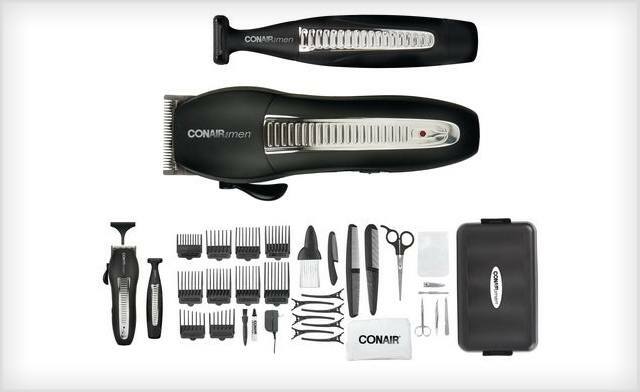 Receive a Conair 36 Piece Grooming Kit with a Rechargeable Chrome Clipper and a Trimmer. 36 piece professional combo set by Conair for men. DC motor provides 50% more power. Lightweight and rechargeable for long-lasting 60 minute run time. Bonus moustache and sideburn trimmer for clean edges and detail.